Un live de 1979 est apparu sur le net. La vidéo serait issue des archives de Bill Graham. Un DVD (au nom ironique de Coloring New Jersey) est disponible en torrent. A la 48ème minute c'est un bout de All My Love où je rêve? Un autre grand moment après une heure de concert. Ritchie est tellement dans son solo de guitare qu'il se trompe de riff. La suite des deluxes c'est pour quand??? A great new RAINBOW release is due in November. JLT affirme que les fans "méritent" une reformation de Rainbow clamant haut et fort que cela honorerait les membres présents et passés du groupe. Il ne serait pas question d'enregistrer quoi que ce soit en studio. Former RAINBOW singer Joe Lynn Turner says that fans deserve to see a reunion of the classic Ritchie Blackmore-led band that existed from 1975 to 1984 and 1993 to 1997, claiming that it would "honor all of the members of RAINBOW, past and present." 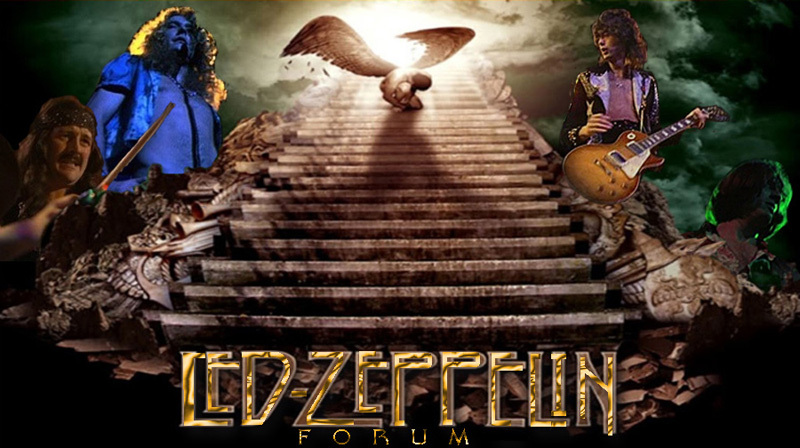 Speaking to Metal Forces magazine 17 years after RAINBOW played its last concert in Esbjerg, Denmark, Turner said: "In my opinion, for RAINBOW it would be one last shot and then going out in a blaze of glory, so to speak. I think the fans deserve it, and to honor all of the members of RAINBOW, past and present." He continued: "I always feel that in my sets, I play RAINBOW, DEEP PURPLE, and things like that because no one else is doing it. I play Ronnie's songs [James Dio, RAINBOW vocalist from 1975 until 1979] and all that stuff, Graham's [Bonnet, RAINBOW vocalist from 1979 until 1980] whatever — I have no compunction about doing that material. I think it's all a part of the legacy, and that we should do it willingly as singers of the same band. I know Graham's still out there doing it as well, and Doogie [White, RAINBOW vocalist from 1994 until 1997] in his own way. It's a big family." In a 2009 interview with Antimusic, Joe Lynn Turner spoke about the immense commercial success RAINBOW enjoyed in North America and Japan after he joined the band. "I had a whole career in Japan because of RAINBOW," he said. "I mean, RAINBOW was doing like one night at [iconic Tokyo venue] Budokan [before I was part of the group]. When I joined the band, we did like four nights at Budokan. I mean, the Japanese always grew up in more commercial end of it, you understand? They really did love the songs. That's the Japanese mentality, you know. There was a certain amount of commerciality inside…"
He continued: "You've got to remember, the Japanese picked up rock and roll from us. They're only like 20 something years old doing rock... and so it's not a whole lot of rock that they saw. So they always like the more commercial hair bands and stuff like that. And when RAINBOW came out with this incarnation, we had the looks and we had songs and we had a whole stage presence and everything. And it wasn't just dungeons and dragons and, you know, kill the king and all this. We actually had girls in the audience. "I'll never forget the roadies when I first started playing in the band. They were, like, 'Thank god for you,' and I was, like, 'Wwwwhwhat?' and they said, 'See the girls out there in the audience?' and I said, 'Yeah,' and they said, 'Thank you for that.' [Laughs] And I go, 'Okay, okay, I get it.' Because there wasn't a whole lot of females when Ronnie [James Dio] was there, because A) the subject matter wasn't there, you know what I mean? And it was the time for MTV when I came into the band, so you had to kind of have a look too." He added: "I tell you one thing. When you get the girlfriends coming to the shows, the guys don't mind. And once you kind of knock them over the head and they realize you're not such a bad bloke and you're not so pansy-assed or anything like that, I mean, you can rock, they come over to your side too. They sort of [go], yeah, alright, I kinda like Turner, he's okay. He still looks a bit gay, but he's alright. [Laughs]"
After Blackmore's final departure from DEEP PURPLE in 1993, he resurrected RAINBOW before focusing exclusively on BLACKMORE'S NIGHT, the renaissance-inspired rock band he formed with his now-wife Candice Night. Parallèlement au coffret The Polydor Years sortira le 26 janvier un autre coffret intitulé A Light In The Black 1975-1984. Ce coffret contiendra 5 cd comprenant les classiques du groupe ainsi que des inédits + 1 DVD plus un livre de 60 pages avec des photos de Ross Halfin. Le DVD capte le concert du Monsters Of Rock 1980 à Donington. The second set is titled A Light in the Black 1975-1984. It was rumoured quite a while ago, with some details starting to emerge now. This box set will contain 6 disks, plus a 60-page booklet with photographs by Ross Halfin, history of the band, and album artwork. 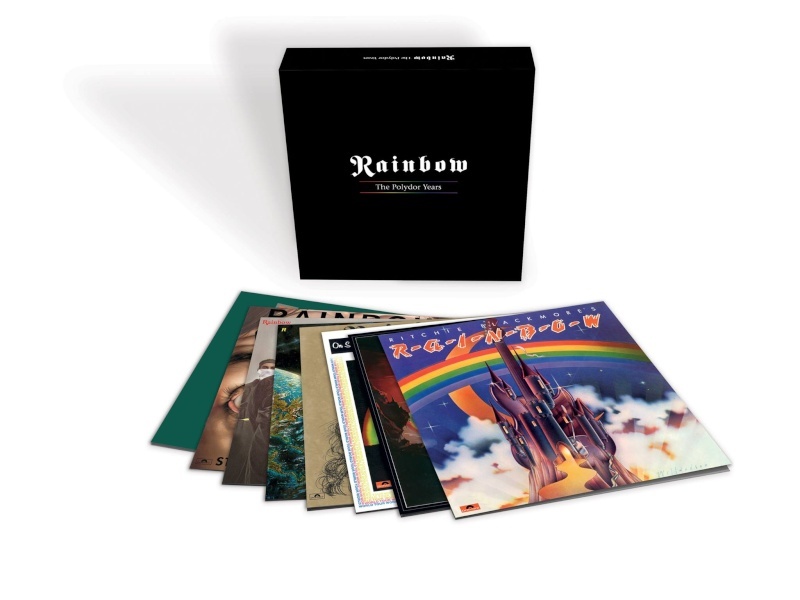 One of the disks is reported being a DVD with 1980 Monsters of Rock performance, and remaining 5 CDs touted to contain a mix of Rainbow classics and unreleased tracks. Release date is pencilled in for January 26. 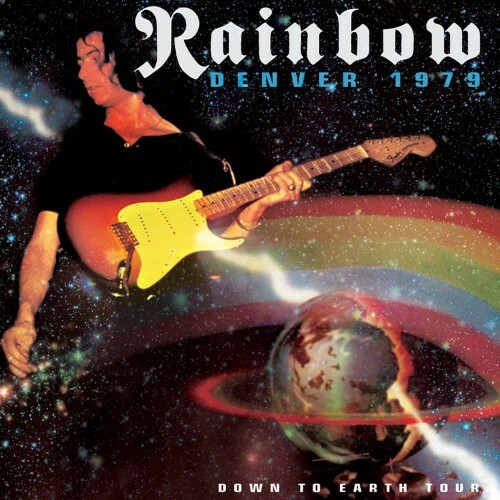 Rainbow Denver 1979 cover artWe have received more information from Cleo Records regarding upcoming Rainbow live releases from the 1979 tour. As we’ve reported previously, the Denver show will come out on vinyl on May 12. This will be the first of the three releases, followed by the show from Long Island, November 30, 1979, and Chicago, October 12. The Long Island vinyl release is pencilled in for September. A 3CD box containing all three shows should come out around the same time. Chicago vinyl will appear later on. 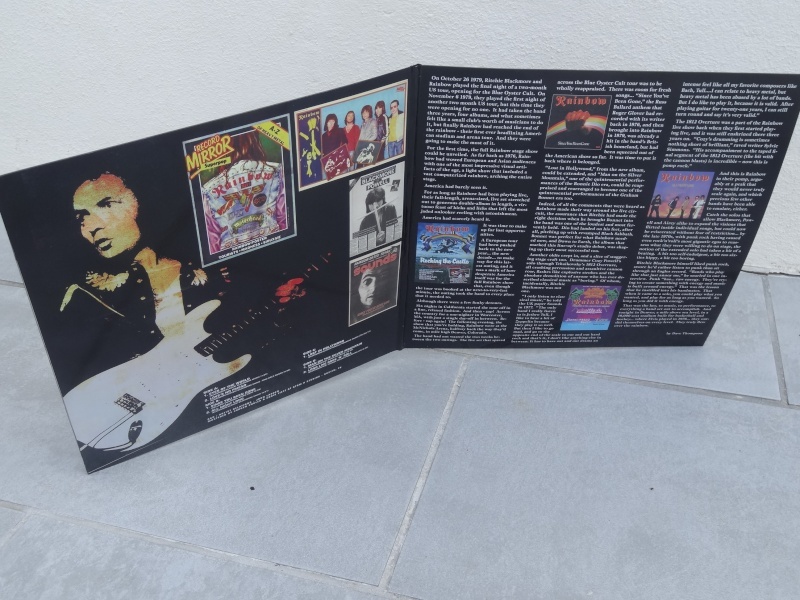 These soundboard recordings were widely bootlegged, but Cleo’s releases are the first ones properly licensed from Blackmore. Unfortunately, they could not obtain the master tapes, so the audio is “remastered from the best sources that we could find”. Thanks to Matt Green for the info. La société d'art graphique ArtWe qui s'est occupée de la pochette du show de Denver 1979, a reçu davantage concernant des sorties de live issus de la tournée 1979. Comme nous l'avons annoncé précédemment, le show de Denver va sortir en vinyle le 12 mai. Ce sera la première des trois sorties suivie du show de Long Island, le 30 Novembre 1979, et Chicago, le 12 Octobre. La sortie du vinyle Long Island est prévue pour Septembre . Une boîte de 3CD contenant les trois shows devrait sortir à la même époque. Le vinyle de Chicago apparaîtra plus tard. Ces enregistrements ont été largement piratés en soundboard, mais les sorties du label Cleo sont les dépositaires du catalogue de Blackmore. Malheureusement, ils ne pouvaient pas obtenir les masters , que le son soit " remasterisé à partir des meilleures sources que nous pouvions trouver." Récupéré. Bon son, un peu brut, ceci dit. Très bonne perf !!!!!!! Un Graham Bonnet impérial !!!!!! Graham Bonnet believes Ritchie Blackmore shouldn't waste time on trying to stage a Rainbow reunion – and he should instead try to settle his differences with Deep Purple. And the singer has expressed doubt over Joe Lynn Turner's claims that he'll work with Blackmore again in 2016. Turner predicted in April that the pair would reunite, and Blackmore later confirmed he was planning a return to rock for a brief period next year. 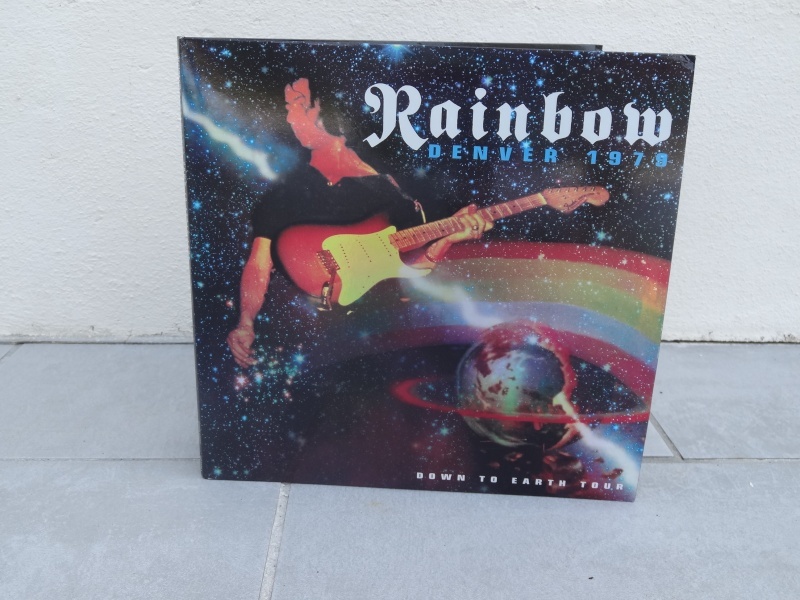 Bonnet, who sang on Rainbow’s Down To Earth album in 1979, said last week that “practical joker” Blackmore’s proposed return might not happen – but he’d do “a show or two” with him if asked. Now he tells Classic Rock: “The last time I had any communication with Ritchie about this was several years ago, when the subject of Rainbow reforming last came up. At the time, I thought there was just one man for the job – and that's Ronnie James Dio. Sadly, his death in 2010 put paid to that idea. “I remember talking to Joe Lynn Turner back then. He insisted he was the logical choice for the band. But to most fans, it was always about Ronnie. 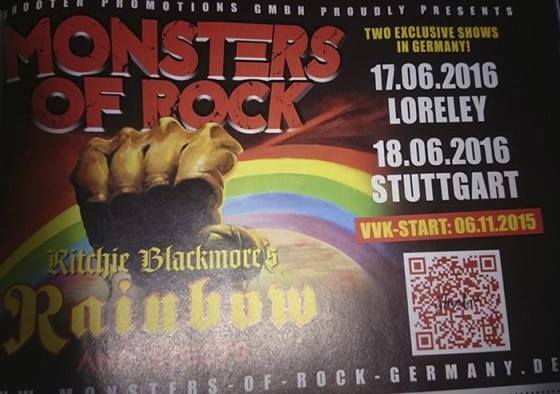 Bonnet insists Blackmore should take a different tack if he really wants to bring Rainbow back. “People can fantasise all they want about the Down To Earth five reuniting,” he says. “But Cozy Powell is dead, and I can't honestly see Roger Glover giving up Deep Purple for that. Nor, for the matter, would Don Airey. But the vocalist believes there’s an even better option available. “If he's really intent on rocking out again, then Ritchie should contact Purple, bury the hatchet with Ian Gillan and get back with them. Earlier this year, Bonnet said he hoped to release a follow-up to his 1999 solo album The Day I Went Mad at some point in the future. 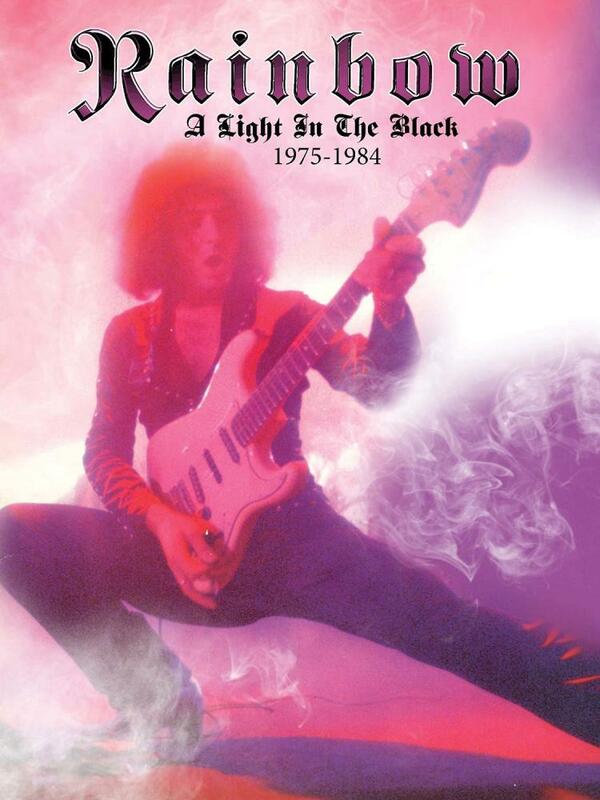 On 6 November 2015, the Eagle Rock Entertainment will release "The Ritchie Blackmore Story" .. This is a simultaneous release on DVD, Blu-ray and digital formats and Deluxe Edition ... 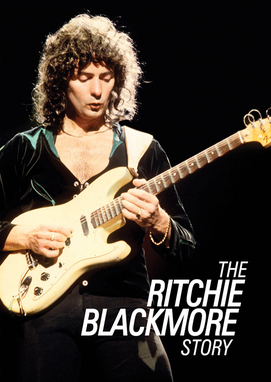 Undoubtedly one of the greatest of all time guitarist, Ritchie Blackmore almost never does interviews, but granted access to this extraordinary creation of this truly revelatory program and talks in great depth about her life and career. L'édition deluxe comprendra la parution du double CD et DVD Live In Tokyo 1984. Un album et une ou deux dates en France et ce serait parfait! L'agent de Blackmore Alec Leslie a aussi précisé que le concert britannique n'aurait pas lieu au Download Festival. Ce show sera annoncé le 2 novembre prochain. Par ailleurs, rien n'est prévu aux US et en Suède. 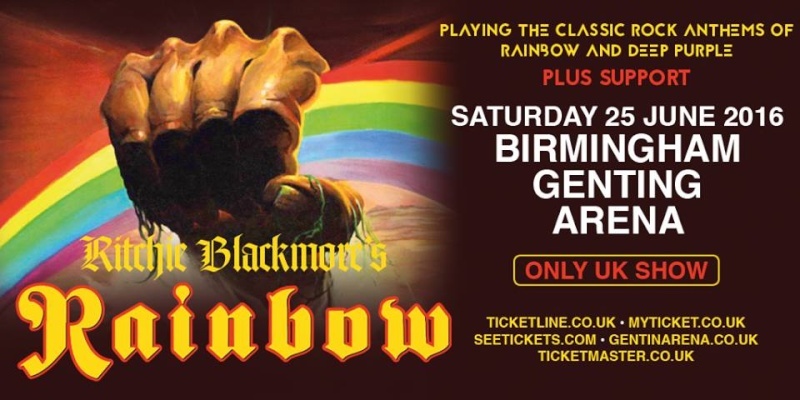 Ritchie Blackmore‘s agent, Alec Leslie replied to us “Rainbow will only be playing three shows in 2016: two in Germany and one in the UK.” He also made it clear that “The UK performance will not be at Download Festival.” But he left a message for British fans, “the show will be announced on the 2nd November.” However we have bad news for the US and Swedish fans, as there are no shows scheduled for those countries at the moment. Ritchie Blackmore: I play 20 minutes of rock at every BN concert. The difference now is just that it will be 90 minutes. I am a little nervous; can I still do this? Thanks to the Blackmore's Night Brazil Street Team ! Ritchie Blackmore : "Je joue 20 mn de rock à chaque concert de BN. Aujourd'hui, le tout de savoir comment ça va se passer sur 90mn. Je suis un peu nerveux. Est-ce que je peux encore jouer ce type de musique ?" Candice Night réagit en prétendant qu'elle ne l'avait pas vu si inspiré pour jouer du rock depuis longtemps. Elle ajoute que le nouveau chanteur est phénoménal.